Algorithms are the brain of software. They refine complex data into simple conclusions and smart decisions. They boost processes to save time and money. They perform tasks impossible earlier. Algorithms have so clear and remarkable benefits that they should be available to every company and individual. That's why Cloud'N'Sci Ltd has created the Algorithms-as-a-Service (AaaS) concept and this marketplace! Algorithms are just abstract ideas until they are implemented as a software module that can be utilized for some specific real-world purpose. Therefore, we use term 'algorithm' to mean the abstract scientific method for data processing and term 'solution' to mean concrete implementations of algorithms. There is a many-to-many relationship between algorithms and solutions - the same algorithm can be implemented in many ways by multiple solutions and one solution can utilize one or more algorithms. This page contains relevant information and useful links for the algorithm. 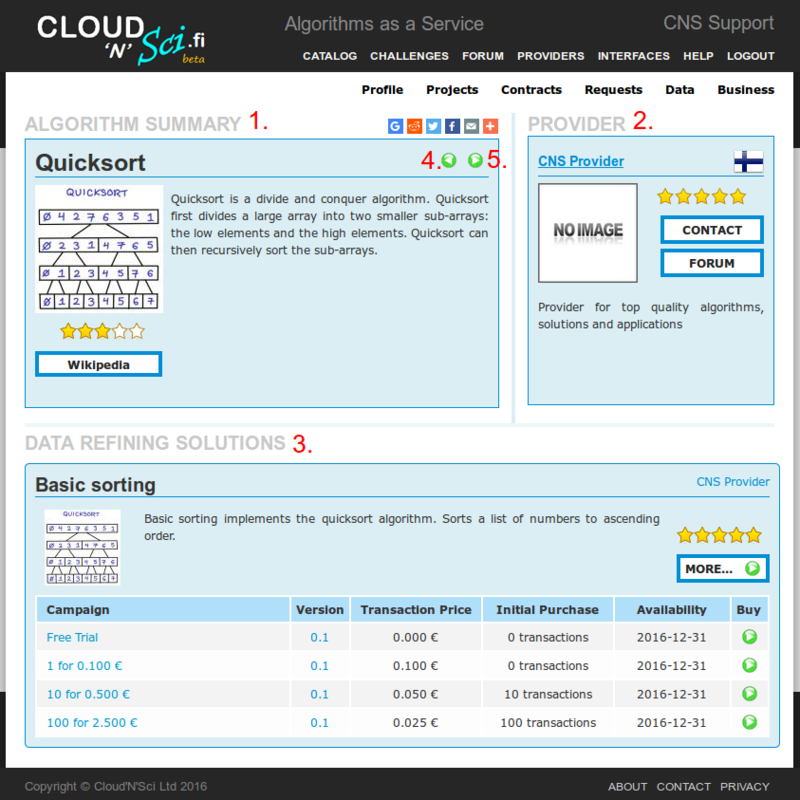 Here you can also view solutions which implement the algorithm, making it easy to find a solution for your needs.